Announcement Welcome to my Linda Walsh Originals Digital E-Patterns Etsy shop. I hope you enjoy your visit. Welcome to my Linda Walsh Originals Digital E-Patterns Etsy shop. I hope you enjoy your visit. What a gorgious pattern. Love the expression of Penelope. Gorgious pattern. Clear instructions, easy to understand. Many thanks. Highly recommended! Whimsical E-Patterns For Grown-Up Girls! Hello! 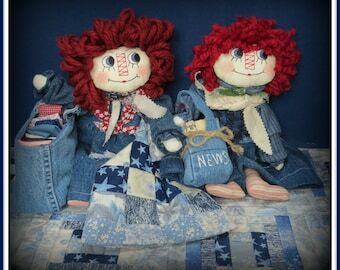 My name is Linda Walsh and I am a doll maker, e-pattern designer, and avid crafter. I'm a bit unusual as I live in a house filled with over 1,796 handmade dolls and, they rule everything. Albeit, I created all of them and they aren't human. But, that doesn't matter to them. They out vote me just by sheer numbers. We, that is, all the dolls and I, love creating "Whimsical Handmade Dolls and E-Patterns For Grown-up Girls!" 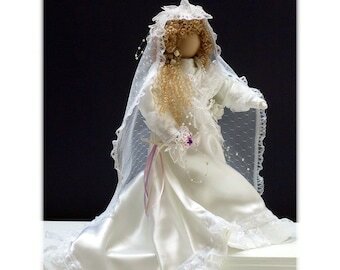 We have lots of e-patterns to choose from for making all sorts of dolls & crafts. 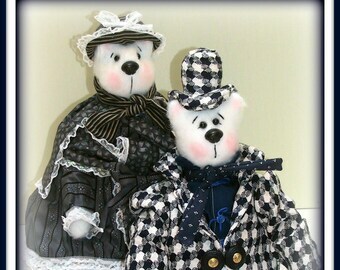 My name is Linda Walsh and I am a doll maker, e-pattern designer and avid crafter. Hi, and welcome to my Linda Walsh Originals Digital E-Patterns Etsy shoppe. 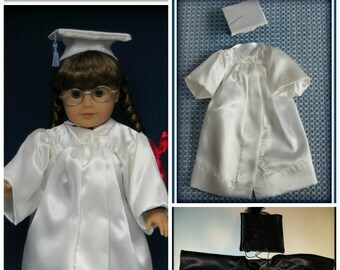 My name is Linda Walsh and I am a doll maker, doll pattern designer, and avid crafter. I have loved dolls and crafts for as long as I can remember and never seemed to outgrow them. I love decorating my home with all the dolls and crafts I've made. So, I decided that I should spend my time creating e-patterns so you could create them and decorate your home too. I hope you like the selection of digital e-patterns that I have chosen for my Etsy shoppe. If you have any questions or concerns about your order please contact me. Just click on "Contact" button on this page or on my Profile page under my name - Linda Walsh. Digital Goods E-Pattern Instant Digital Downloads: Please select your purchases carefully. We make every effort to provide quality e-pattern instant digital downloads and encourage our customers to Email us with questions before making a purchase. We have a no return policy for my e-pattern instant digital downloads Sorry, but due to the nature of copyrights, all sales are final. No refunds, returns, or exchanges will be issued on any e-pattern instant digital downloads. 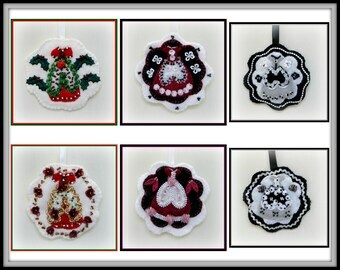 I accept Paypal and Credit Cards through Paypal or through Etsy's Direct Checkout. There are no shipping and handling charges for my Instant Digital Download goods (i.e. e-patterns, e-printables, and e-books) and they can now be instantly downloaded from Etsy. Please visit the Policies, Terms and Conditions page at http://www.lindawalshoriginals.info/policies--terms---conditions.html for more detailed information on all my products. COPYRIGHT © 2004-2019 Linda Walsh Originals - Articles and Designs by Linda Walsh - ALL RIGHTS RESERVED. All rights reserved, including modifying, photocopying, downloading, uploading, posting, transmitting, displaying, performing, publishing, licensing, reprinting, creating derivative works from, mass duplication, re-selling, digitizing, and all other forms of reproduction (print, digital or electric form) or commercial application, embedding of, sharing, website sharing, Email, or any other means of redistribution.